If you ask people outside China what they believe to be the most typical of traditional Chinese food and drink, one of the top replies will be tea. Tea remains to be popular in China as well, even among the young, who have discarded so many other traditional things Chinese as old fashioned. Tea has been a flavour inspiration for a number of recent food launches. Tea combines flavour with nutrition. Tea is said to help lose weight and the flavones (tea polyphenol) in tea are strong anti-oxidants, which help rid the body of free radicals. Finally, tea’s tannic acid creates a specific ‘dry’ mouthfeel. I would like to introduce a few tea flavoured foods in this post. 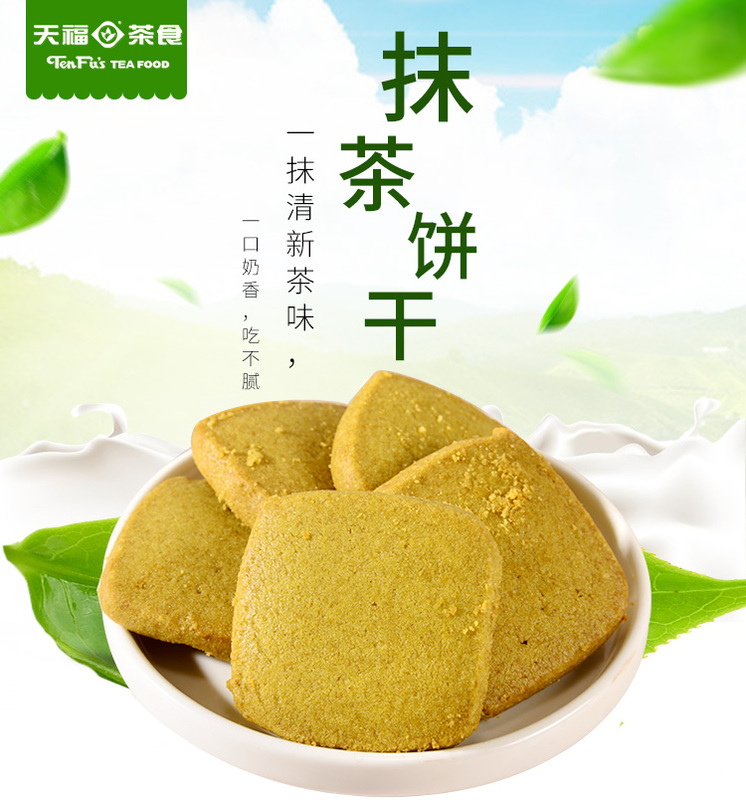 These biscuits are marketed by Tianfu, one of China’s earliest nationwide tea chains. The add promises ‘a mouthful of milk flavour without a fatty taste’. As posted earlier, Chinese appreciated milk’s nutrition, but many still have problem with its creamy taste. 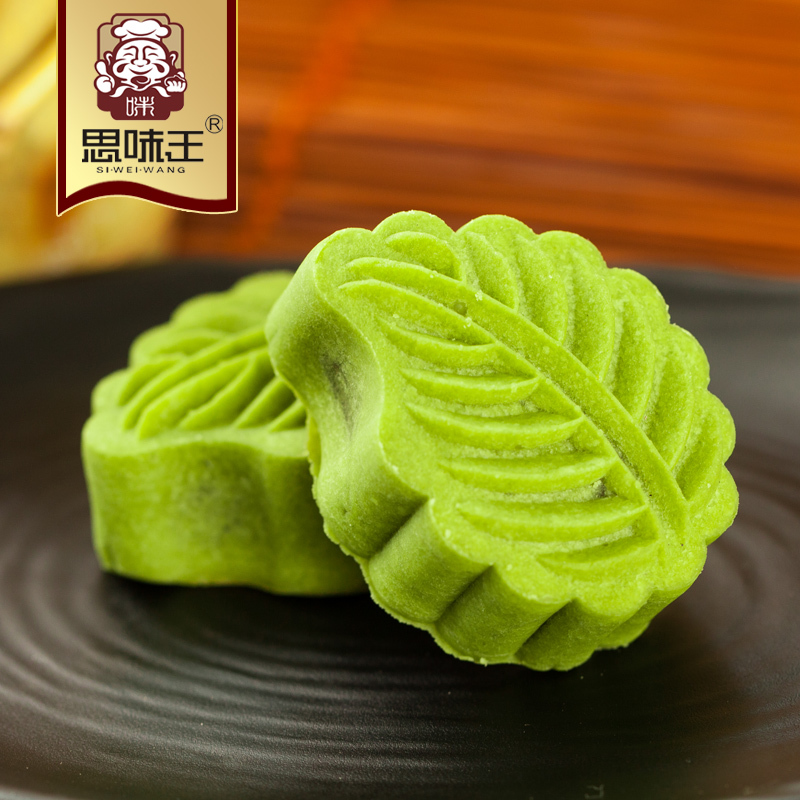 Ingredients: flour, butter, sugar, egg, matcha powder (1%), sodium bicarbonate. 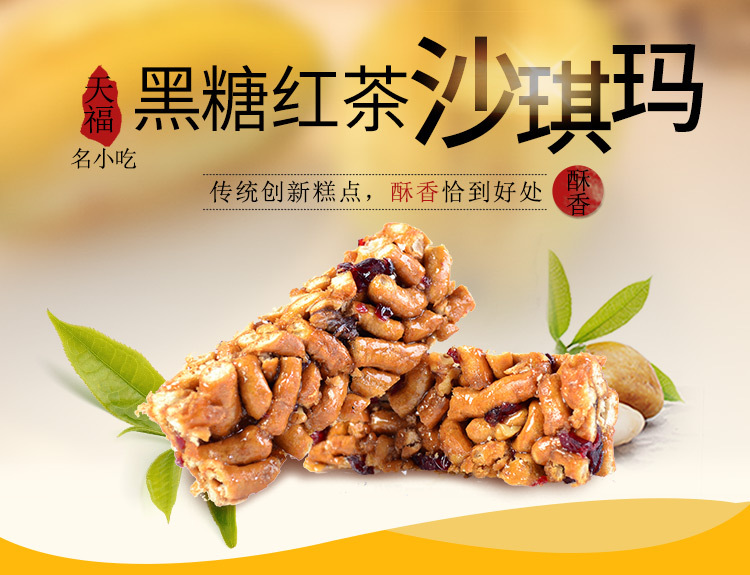 Produced by Siweiwang for the Mid Autumn Festival that was yesterday. This product shows that green tea also adds colour to a food. Ingredients outside: white beans, glutinous rice powder, sugar, syrup, vegetable oil, matcha powder, sodium dehydroxy-acetate. Filling: lotus seeds, white beans, sugar, vegetable oil, purified water, natto, maltose, matcha powder, sodium dehydroxy-acetate. This is another Tianfu product. For an introduction on saqima, see my earlier post. Ingredients: egg, shortening, maltose syrup, flour, walnut, cranberry, sugar, brown sugar, vegetable oil, cream, starch, black tea, salt. 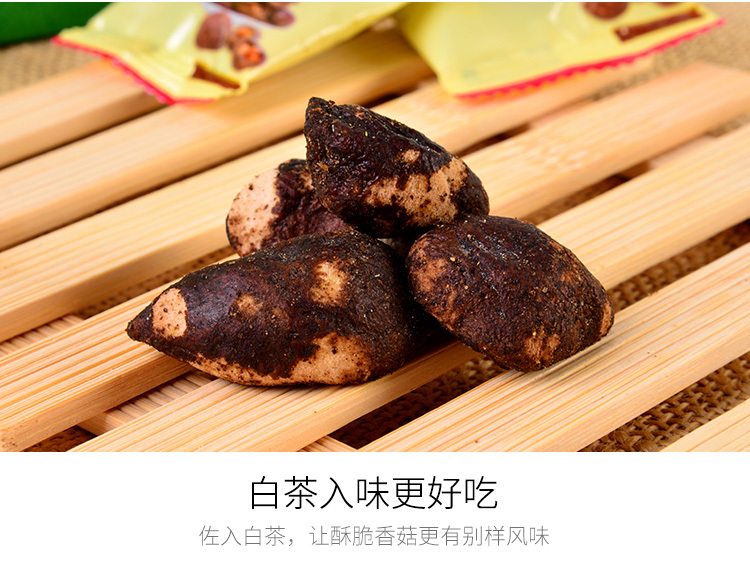 These shiitake mushrooms are produced in Zhangzhou (Fujian) and flavoured with white tea. Ingredients: shiitake, vegetable oil, salt, Sichuan pepper salt, white tea. Local chicken raised in the Huilong tea garden infused with Huilong tea. Locally caught percocypris pingi, a kind of carp found in East Asia, garnished with pickled Chinese cabbage and Huilong tea. Quail eggs boiled with Huilong tea and other seasonings. Minced pork meatball with Huilong tea powder. Huilong tea and local eggs wrapped in pea flour and deep fried. Peeled black soya bean tofu stewed with minced meat, black fungus and a stock of Huilong tea. Visitors can take a bus from Lianghe county town to the tea garden to watch the tea processing and taste the all-tea meal. This entry was posted in Uncategorized by eurasiaconsult. Bookmark the permalink.